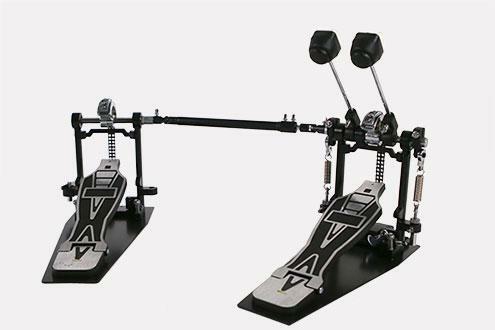 A heavy duty twin chain double kick pedal for heavy hitters and pros alike. Each pedal is mounted on a plate for maximum stability and strength. Heavy duty double chain for less left to right movement and smooth action. An additional cross-brace adds strength and ensures long life and reliability. Tighten the footboard from the side for faster and easier adjustment from the playing position. Adjustable and lockable footplate height, spring tension and cam position for any playing style.